The gun control debate in the United States, and beyond, has been derailed and needs to be put back on the right track. 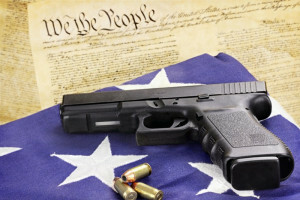 The 2nd Amendment to the Constitution of the United States of America prioritizes the citizens’ right to carry firearms second only to the right to the freedom of speech. The Constitution of the United States of America has its philosophical and political roots in the post-French revolution period of enlightenment that clearly defines the people as “the sovereign”. In the USA the 2nd Amendment guarantees that the people’s right to keep and bear arms shall not be infringed. U.S. Administrations in Washington D.C., as well as administrations in the constituent States, media, as well as NGO’s have, over the past decades, consistently misrepresented the 2nd Amendment, gun ownership, gun violence, militia, and related issues. Both Democrats, Conservatives and their satellite NGO’s and media consistently portray gun-ownership as being associated with crime, violence, terrorism, and as a threat to personal and national security. Isolated shootings like high-school shootings are represented in a fashion that is targeting the “audience” emotionally rather than logically. An NGO like the National Rifle Association, for its part, is also misrepresenting the discourse as if it was a debate about whether the people should have the right to keep and bear arms to go hunting or for personal protection alone. Hegelian Dialectics are used by both Democrats and Conservatives alike, positioning those who defend the 2nd Amendment for the right reasons as “right wing neo-Nazi” extremists or as “Socialist / Communist subversives”. Unilateral Disarmament of the Sovereign and Government Violence. The mass murder of Germans and Europeans by Germany’s National Socialists. The mass murder of Soviet people under the regime of Joseph Stalin. The mass murder against Cambodians carried out by the Khmer Rouge. We could continue ad nauseam. The common denominator is that the people have been unilaterally disarmed before the mass murders could occur. The French revolution could not have succeeded unless people had stormed the Bastille and armed themselves. The 2nd Amendment makes the unilateral disarmament of the citizens of the USA unconstitutional, and for very good reasons. Unilateral disarmament leaves law-abiding citizens at the mercy of armed, violent criminals. Most importantly however, is that it deprives the people from the right and ability to resist tyranny. One may argue that the USA is “the beacon of freedom and democracy” and that the 2nd Amendment is outdated, that there no longer is a need to maintain the right to keep and bear arms. Those who believe this to be the case may consider – nontransparent Continuity of Government provisions – the U.S. President’s assumed right to put people worldwide, including U.S. citizens on “kill lists” – the so-called PATRIOT Act, the National Defense Authorization Act – Extraordinary Rendition – Secret Prisons – and so forth. Two American Thinkers, their Reasoning and the Ban of Military Grade Weapons. James Madison: “Americans need never fear their government because of the advantage of being armed, a right which the Americans possess over the people of almost every other nation”. John Adams: “Arms in the hands of the citizen may be used at individual discretion for the defense of the country, the overthrow of tyranny, and for self-defense”. The principle reasoning with e.g. Madison and Adams is that the body of the people is able to mount a force that is greater than any military force that the government can raise against it. Madison, Adams and the 2nd Amendment invalidate the ban on automatic, military grade weapons and high-capacity magazines. Moreover, one may notice that the vast majority of gun-related crimes are being carried out by people who are using handguns and non-military-grade weapons. The ban on automatic, military-grade weapons is, in fact, specifically targeting the people’s right and capability to form the very militia that enables the people to resist tyranny. The Militia – How it is regulated. The Congress shall have the power to provide for calling forth the militia to execute the laws of the Union (not to be confused with the Federal Administration in the District of Colombia) to suppress insurrection and repel invasions. It is the duty of the militia to execute the laws of the Union. … To provide for organizing army and disciplining the militia, and for governing such part of them as may be employed in the service of the United States of America, reserving to the States, respectively, the appointment of the officers and the authority of training the militia according to the discipline prescribed by Congress. The Militia of the United States consists of all male citizens of the United States and all other able-bodied males who have or shall have declared their intention to become citizens of the United States, who are more than 18 years of age and not more than 45 years of age, and the Militia shall be divided into three classes. The National Guard which our forefathers described as the Select Militia, separate from the term “The Militia”, the Naval Militia, and the Unorganized Militia. The Unorganized Militia – Not Unregulated or Irregular. It is especially the latter, the “Unorganized Militia” that Madison, Adams and others were referring to when they stressed that “the people” have the right and ability to resist against tyranny. The Constitutions of the constituent States of the USA vary with regard to the age and gender, some specify military age between 17 – 45 years of age, others specify the military age up to 64 years, others again do not implicitly exclude women. Citizens in all States of the United States have the constitutional right to form registered units of the Unorganized Militia, to possess and bear military-grade weapons provided that these militia units are well-regulated. This implies that members of militia units are well-trained and well-educated. This includes military training as well as it does education about the rights, obligations and duties of the Unorganized Militia. Of special importance is that militia units have to be educated about and adhere to the Uniform Code of Military Justice and that it trains and operates overtly instead of covertly. Closing Remarks – International Implications. The unilateral disarmament of a population is one of the most important preconditions for the establishment of tyrannical governments regardless whether they be socialist, right-wing, sectarian, non-sectarian or other. Switzerland is one of the world’s oldest democratic systems and people who have served in the military are expected to keep weapons in their homes. Switzerland does not have a higher rate in gun-related crimes than e.g. the United Kingdom, Germany, France or other European countries where populations have been unilaterally disarmed. One may argue that gun-ownership implies the risk of accidental shootings. While this is correct, most accidental shootings occur with handguns. The incidence of accidental shooting in the USA is less than the incidence of accidental suffocation from food. Let’s close down McDonalds and Stabucks, right? – Even though – I might be tempted to allow exemptions for them. Finally, let us consider the much-advertised link between terrorism and gun-ownership. In November 2015 two gunmen stormed a theater in Paris where a rock concert was in progress. Two persons succeeded at shooting and killing about 100 “unarmed / disarmed” people. That death toll would have been significantly lower had there been citizens at the theater who had not been deprived of their right to defend themselves against all forms of tyranny and all forms of terrorism.